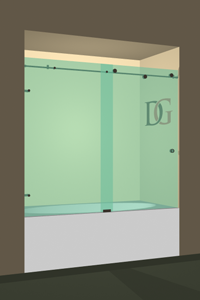 These frameless, modern sliding glass shower doors for your bathtub slide quietly on an attractive stainless steel track. 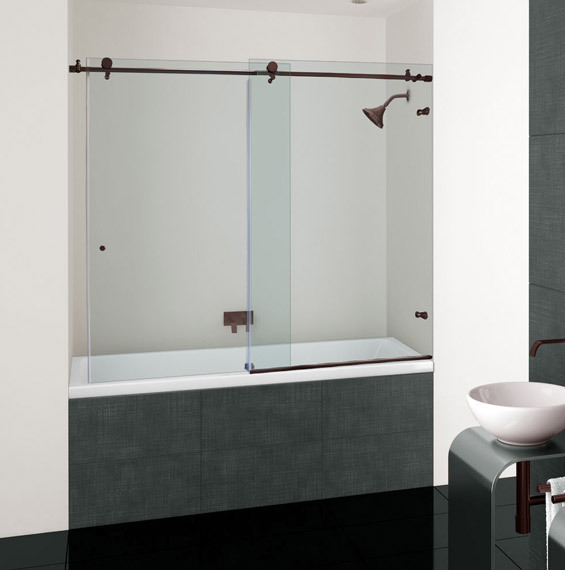 There's no need for frames on this beauty - just one sleek metal rod at the top, three wheels, and a small guide at the bottom. 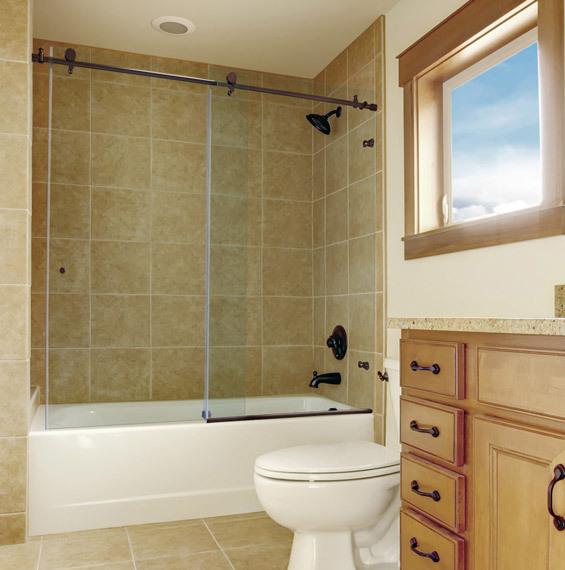 The rest is clear, sturdy glass that shows off your tile. 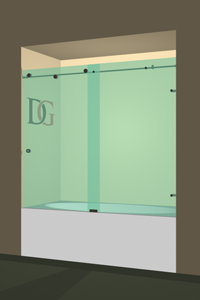 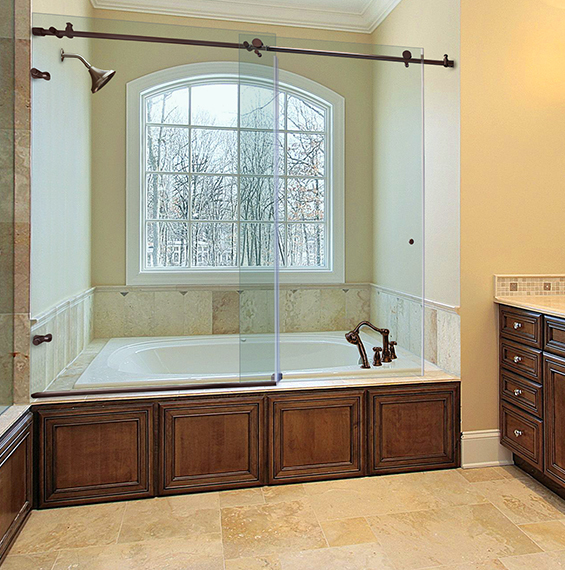 These sliding shower doors work well in spaces where there is not enough room for a swing door. 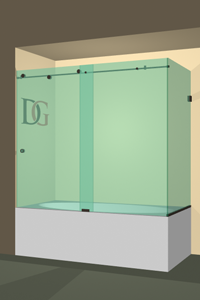 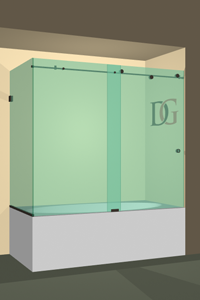 You can also get this type of shower in a corner 90° configuration. 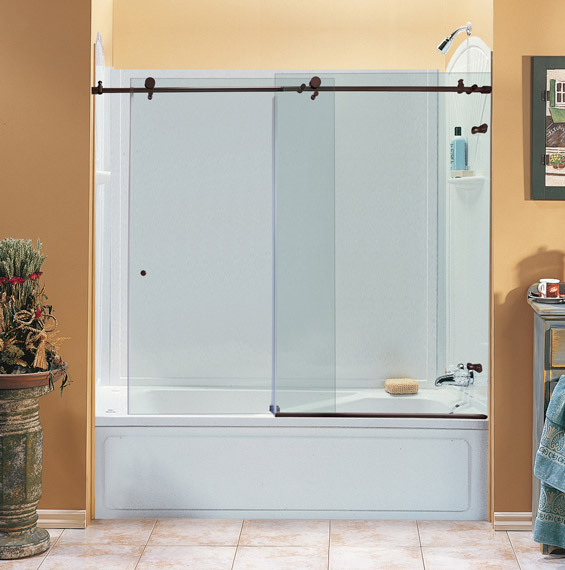 Metro doors come in a standard single sliding door configuration, or you can get it in a 90° corner shower door configuration.